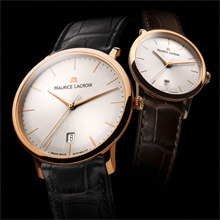 Timeless design and first-class handiwork characterize the quality of the Swiss watchmaker's art: this is proven by the new timepieces in pink gold or steel in the Les Classiques Tradition collection, a subcollection of the Classiques models that have already been established for many years. Their sober, compelling appearance manifests respect for the centuries-old tradition of craftsmanship. Their restrained elegance, highlighted in particular by the slim case and simple beauty of the dial, emphasizes the quality that these models display on their wearers’ wrists. This model is available in a steel case with a choice of two different dials, in a 38 mm men's version and a somewhat smaller one, of 28 mm, for ladies. 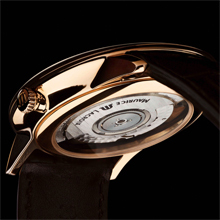 The model with the (18 Kt) gold case also comes with two dial variants and a men’s or ladies’ version for each one. The delicate hours, minutes and seconds hands in this classically elegant setting, plated with rhodium or pink gold, concentrate on the essential: the time. The only additional feature is the understated date display at 6 o'clock. Then there is the automatic caliber ML 155/ ML 132 (men’s / ladies’ models), with its precision and its slim case, tokens of reliability and classical and modern styling in equal measure, which can be examined in detail, thanks to its domed sapphire crystal case back. The decoration, in the highest traditions of craftsmanship – the weight with Côtes de Genève, the bridges with circular-graining and the gold- or rhodium-plated rotor – are a delight to the eye. 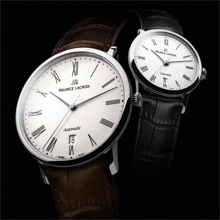 Les Classiques Tradition, with these new models, is a collection that symbolizes the refined harmony of Swiss quality and style.